Early in its career, Planes on Paper was a Seattle-based folk band. And a Portland-based folk band. And even a Spokane-based folk band. 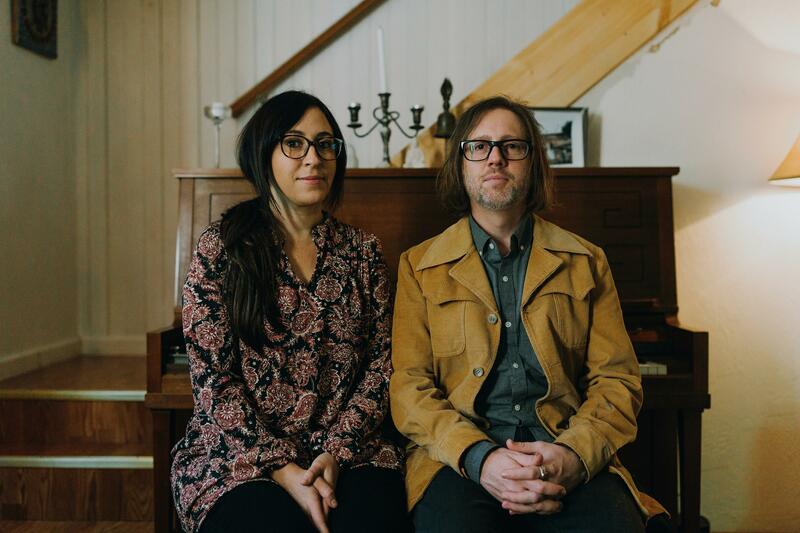 No matter where the Yakima-based duo of Jen Borst and Navid Eliot were performing, that city seemed to claim the band as one of its own. Although in recent years Planes on Paper has been correctly identified as a Yakima-based band, Eliot can understand why various publications and venues would feel the need to loop the duo into bigger metropolitan areas. But the Yakima music scene has since changed significantly, thanks in part to Eliot. After moving to Yakima from Seattle about six years ago, Eliot often heard complaints about the lack of songwriters in the city. Upon learning there were no all-ages open mics in town, he started one of his own, passing along bits of advice to younger performers when he could..
Eliot too helped revive the Yakima Folklife Festival, which celebrated its 36th year in July. Eliot’s first week in Yakima fell during the festival, so, armed with his guitar, he approached organizers and asked if they had any cancellations. He filled in for a musician whose van broke down and ended up having a great time. Two years later, Eliot attended a public meeting after reading that the festival’s operating funds were dangerously low. He threw out a few suggestions – ask the bands to perform for less money the first year, add a beer garden – and a board member asked Eliot if he was interested in taking over. He thought he’d work with the festival for a year or two until it got back on its feet, but he’s been with Yakima Folklife Festival ever since. “The spirit of the festival has really become this thing where all these bands show up from all over the place and they just become friends there,” he said. Like Eliot did what he could to help the Yakima music scene, others have done what they could to help bring Planes on Paper’s debut full-length, “Edge Markings,” to fruition. “Edge Markings,” which was released in June, was recorded in Panoramic House in northern California with producer Scott McDowell. McDowell approached Eliot and Borst after a show in San Francisco and told the pair he was interested in working with them. The feeling was mutual, but Eliot and Borst soon realized they couldn’t afford to record at Panoramic House. But McDowell didn’t give up, telling the band he’d make it fit into their budget. Many songs on “Edge Markings” find Eliot using literary influences to share experiences from his life. In “Brutus,” for example, a nod to the character of the same name from Shakespeare’s “Julius Caesar,” Eliot expressed how it felt to be betrayed by someone. “Edge Markings” closes with “The Ruins,” which appeared on the band’s 2015 EP of the same name. On the EP, the song, about rebuilding something beautiful in the wake of darkness, was “swampy and a little dark.” But after Planes on Paper performed the song with a symphony, it took on a new meaning for Eliot. Published: Aug. 31, 2018, 6 a.m.